Once a year, I write an article in a series I call Nuts & Bolts. 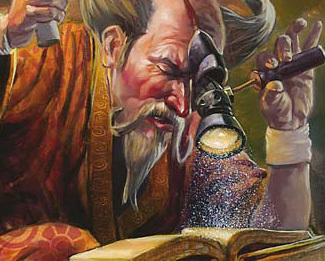 The idea behind this series is that while there is a lot of art to Magic design, there's also a lot of craft. I spend most of my time talking about the intuitive leaps and creative insights that go into making a set. Behind the scenes, though, there are a lot of minutiae that go into making a design work. The Nuts & Bolts columns cover this area. ...to a set filled with cards that we can playtest. If you haven't read the previous Nuts & Bolts columns (especially last year's about design skeletons), I strongly urge you to do so before reading any more of this column. I am going to talk today assuming you've read the previous Nuts & Bolts columns. Before I start talking about how to fill in the design skeleton I want to take a moment to stress what a design skeleton is for. Because a design skeleton spells out what is needed for each slot, it's very easy to just want to fill it in and be done with it, but that's not what a design skeleton is for. A design skeleton is a tool a designer uses to give him a general sense of what the overall set is going to look like. I compare it to a sketch because it's used in much the same way an artist uses a sketch. 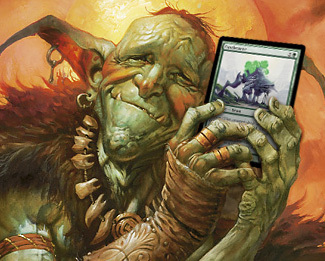 For example, for each Magic card we require the artist to send in a sketch. Why? Because we want to get a general sense of what the artist is thinking about for his or her image. The sketch helps the artist understand the overall image and creates lots of information to think about before starting the actual painting. The sketch isn't the final picture shrunk down in miniature form. The artist isn't supposed to just copy the sketch. The sketch helps the artist make some big decisions about how to craft the painting. It helps determine where to start. In the act of making the painting, the artist will often realize something he or she hadn't thought about before. Or perhaps something about the sketch will inspire the artist to do something else he or she hadn't anticipated. The artist has to feel free to adapt when working on the actual painting. The sketch is crucial, because the artist can't start without getting a sense of the overall piece. A design skeleton is similar. If you look at a finished design file and then look back at the design skeleton, you will see how the former came from the latter, but you will also see that the design file took on a life of its own. It's very important that you understand this principle before starting to fill in the design skeleton. Once we understand how we're going to use the design skeleton, it's time to get our hands dirty. The very first cards I design in any set I do are the commons. Why the commons? Because early design is about an idea we call "proof of concept." As I've talked about numerous times, I believe people overvalue ideas. A truly great idea is something of value, but it's not the most valuable thing to a designer. No, the most valuable thing is the successful execution of a great idea. Early design is about figuring out how to execute your idea. R&D will always give me and my design team a few months to figure out what we're doing, but at some point I have to present (if I'm the lead designer) what is called a proof of concept. That is, I have to turn my "crazy idea" into actual Magic cards. More importantly, I have to turn them into common cards. Why? Because the heart of a set lives in the common cards. They are going to make up the vast majority of the cards. As I often say, "If the theme of your set isn't in common, it isn't your theme." 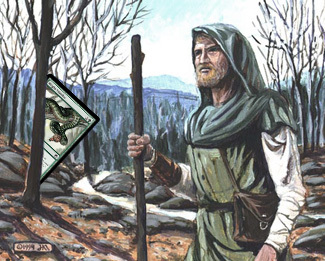 We do commons first, because we have to prove that the common cards are capable of carrying the theme. Until we can do that, we haven't proved that what we want to do is possible. I start every design team by making a full set of commons because I need to demonstrate that what we want to do is simple enough and flexible enough to work at common. If you've followed the GDS2 or the first Great Designer Search a few years ago, you'll notice that in the challenges I often force them to design to very tight restrictions. I do that because one of the most important design skills is the ability to design to the available hole. The reason it's so important boils down to the design skeleton. Each time you create a card, you're putting restrictions on all the other cards in the set. 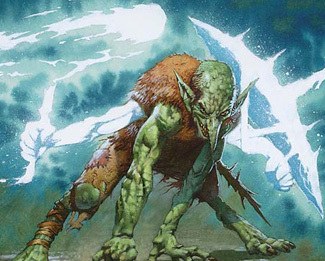 For example, if I create a white creature that gains you life when it enters the battlefield, I'm likely preventing myself from creating another spell in common white that gains life (barring life gain being a theme or subtheme of the set). Each choice limits your other choices. As such, you need to start with whatever part of your skeleton is the hardest to fill. What's the focus? A big part of making a set shine is ensuring that the aspect of the set that you want the audience to focus on is, in fact, the thing players are drawn to. One of the most efficient ways to do that is to make sure that your best spells, both in quality of design and overall power (the second thing being more of a development issue), are spells in your theme. Because this demand is so important, you want to give these cards the most room to excel, which means they are a good place to start. What's new? One of the hardest things to do is to design something you've never designed before. New designs often have restrictions that you won't know until you design them for the first time. This makes new designs, especially new mechanics, a good place to start. What's the most restrictive? Not every design is created equal. For example, multicolored cards have an extra limitation that monocolored cards don't have, in that they have to make sense in two colors rather than one. Cards that are harder to design benefit more from being made before a lot of restrictions are placed on them. What's in a cycle? You can think of this category as a subset of the last one, but it's a frequent enough design issue that I've given it its own section. Whenever you make a card, you add a restriction to all the other cards. This is even truer when designing cycles. The first card in a cycle starts setting parameters, which get tighter and tighter as you make more. If you don't plan ahead, it is very easy to get stuck so that no card fits in the fifth slot. I can't tell you what part of your set is the hardest to design, but I can tell you that if you don't work on it early you are creating a possibly unsolvable problem for yourself. The major reason of creating a design skeleton is to allow you to look ahead and plot out your course of action for creating your set. If you keep looking multiple steps ahead, you can keep from painting yourself into a corner. This might seem like an obvious step, but I've seen many novice designers continuing to design cards, waiting for the perfect fit for their design hole. Don't do that. Once a card has passed the threshold of liking it, put it into the skeleton. Here's the important thing to remember: you are allowed to change out cards. If you make something better for a slot, you can swap it in. A big part of filling in a design skeleton is upgrading cards. Another good trick is this: if you have two cards but aren't sure which one is the right fit, put them both in under the same slot. When your team sees two cards that have the same card code they'll know that you are considering multiple cards for the same slot. This will allow them to give input on which card they like better. Also, having them both will allow you to use playtest experience to pick the better card. A quick aside: if your design is being done by a team rather than one person, it is crucial that you put the ongoing design somewhere that everyone on the team can look at it. Here at Wizards we use a database we call Multiverse. As I fill in the set, my team members can not only see what's been added, but also make notes. The reason I'm stressing putting things in sooner than later is that having something will help you figure out what the right thing is. Something lets your team talk about it. Something can be playtested. Something will advance the design. Nothing has none of these benefits. It doesn't matter if the card is the finished version or if it's not what you might ultimately end up with. The design file is not an end state, but a work in progress. Having something in a slot gives a benchmark of what to do better than. A common piece of advice for writers is to write. I feel a similar thing can be said about card design. If you want to get better at card design, design a lot of cards. This is just as true for creating a set as it is for personal growth. A set gets better the more cards that are designed for it. Even things that don't work out can lead you down paths you that get you to the right answer. Sometimes you will discover that you have cards that simply don't fit. Don't put them into your file. If you cannot find a place that a given card makes sense, leave it out. I'm not saying you shouldn't try hard to make it fit, but one of the reasons for the design skeleton is to remind you what you need. It's very easy to get distracted by a card that seems wonderful in a vacuum. If you can't find a place for a card to fit, that's your design skeleton telling you that the card isn't right for the set you're working on. One of the thing I tell my designers is, "Good cards will find a home. Don't force a card into a set simply because you want it to see print." While I'm telling you not to put them into your set, I do feel it's wise to keep track of cards you like but cannot fit. The reason is that your set will ebb and flow as the design progresses. If you keep a list of cards you liked but didn't fit, you can check back to it from time to time and see if changes in the set have opened up a spot for them. In, R&D, we often put these cards under "99" slots, meaning that they're not in the file, but they're still somewhere we can see them. The 99s aren't played in playtests, but they are tracked, allowing them to be brought in later as design needs change. Of all my advice today I believe this is the hardest for many designers to follow. Why wouldn't you want to put a good card design into your set? How does that not make it better? The answer is a theme I've hit numerous times. When designing a card set, the set has to be more important than any one card. If the card doesn't advance your set, it's doing more harm than good. 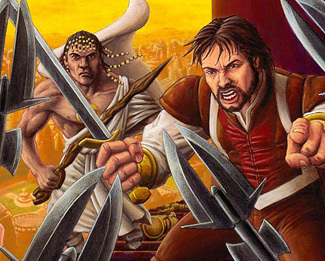 Probably the number-one thing that derails set design is the designer being in love with a card or a set of cards or a mechanic and making poor choices because of that influence. It's very hard to cut something you love from a set, but part of being a good designer is making hard choices. 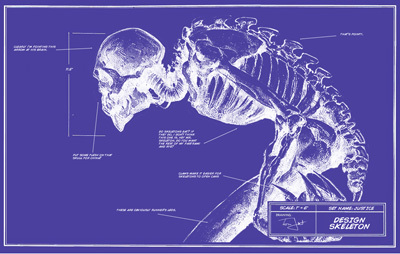 I talked earlier about the design skeleton being a sketch. Often when you start to do the real painting you realize that you missed something in your sketch. It's very common as you create cards to create a card that doesn't fit in your existing design skeleton but clearly belongs. Note that this is a different animal from the section above. Some cards just don't fit. Other cards clearly want to fit and are just looking for the proper place. When you stumble upon a card that clearly feels like it belongs, put it into your file. How do you do that if there isn't room? You just make room. (I'll explain one of the best ways to do this in the next section.) Part of the designing process is one of discovery. When you find something that enhances what you are doing, you find room for it. This is what I was talking about when I said the skeleton is like a sketch. When an artist starts painting, he or she may add elements that hadn't appeared in the sketch stage. The design skeleton doesn't exist to keep you from finding other things. It's there as a tool to help you explore. As you explore you should learn more about the area you are working in and find new things to do. This is an exciting part of design. The design skeleton is not there to keep these things out. What it is there though is to make you realize what you still need to get into the set. Here's a moment that happens in every design I've ever done. While creating cards to fill my design skeleton, I find a card that I hadn't planned on. The card is perfect, though, so I make a spot for it. What ends up happening is that I ultimately end up with one hole but two requirements. I need a small creature and I need land fetching. The answer comes with designing cards that can fill both needs. Perhaps my small creature has an "enters the battlefield" effect that fetches a land. Perhaps it has a sacrifice effect that does it. You will find that there are always interesting ways to blend two needs into a single design. Rarity Issues – Two common effects combined together are often not a common effect. When combining effects, be careful to make cards that still belong in the rarity you're designing for. Clunkiness in Design – Clean dual-purpose cards are a thing of beauty. Clunky ones can become the bane of a set. My best barometer is this: does the card feel like one card, or the combination of two? If the former, keep it. If the latter, try to remove it. Every set gets a clunky card or two, but using up the "clunky" slot should only be used as a last resort. Ideally your set should have zero clunky cards. One of the key skills that grows over time in card design is the ability to make dual cards that don't feel like dual cards. I've stuffed a lot of content into my column today. Filling in a design skeleton is a very complex activity that I've only touched upon here. The best advice I can give you is to make your skeleton and then dive in. It will get uglier before it gets prettier, but if you follow the advice I've given you today you are taking the first step to end up with a set of cards you can begin to playtest with and start to turn into a finished card set. I'm curious for any feedback. Feel free to drop me a line in my email, via the Discuss link below, or on Twitter (@maro254). Join me next week when I explain how weapons begin living.